Next time your fish is sick, the remedy might not be farther away than your kitchen table. Ordinary salt is a useful remedy for the prevention and treatment of several freshwater fish diseases. It assists in the healing of injuries, promotes the formation of slime coating, improves gill function, reduces the uptake of nitrate, and is effective against some parasites. Before you go overboard using salt, be aware that some of the same benefits can be achieved by using a stress coat product. Furthermore, some plants and species fish cannot tolerate salt, so it must be used with care. In other words, salt is a double-edged sword. Nitrite Poisoning: The addition of a one-half ounce of salt per gallon of water is beneficial in the prevention of nitrate poisoning in a newly set up tank. Keep in mind that scaleless fish cannot tolerate much if any, salt. Parasites: Many parasites can be effectively treated with the use of salt, particularly Costia infestations. Live plants: If you live plants in your aquarium, avoid using salt. Plants can be damaged with a relatively low dosage of salt, which is one reason it's best to treat sick fish in a hospital tank rather than your regular tank. Scaleless fish: Scaleless fish, particularly Corydoras, are very sensitive to salt. Even a small amount could harm them. Tetras are also somewhat sensitive to salt. 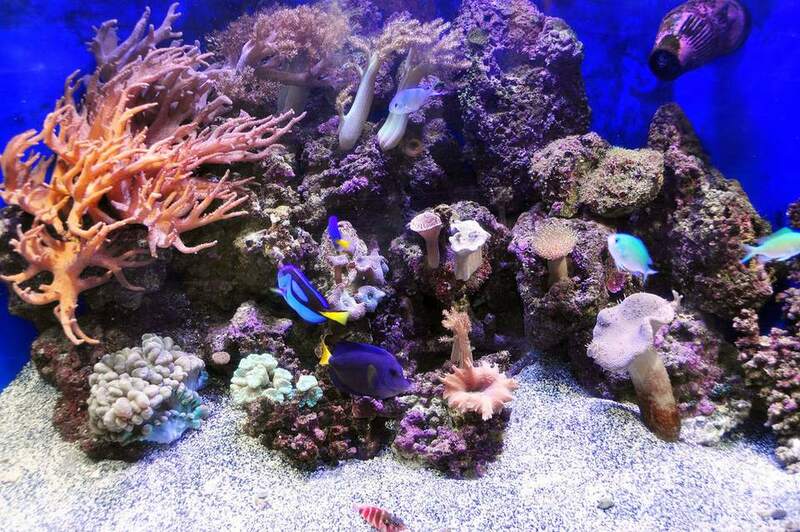 Contrary to popular view, it is not advisable to add salt to your aquarium on an ongoing basis unless the fish require brackish water conditions. Common table salt is suitable; however, it should be non-iodized and contain no additives. Rock or Kosher salt are excellent choices, as they are straight sodium chloride with nothing else added. The quantity will depend on how and what it is used for. A dip is a short exposure that is useful for the eradication of parasites. For dips, a 3% solution is generally used for up to a half hour. Baths are essentially treating the entire tank, and are useful for the treatment of stress, nitrite poisoning, as well as some parasites. Salt concentrations for a bath are lower, 1% or less, and are used for up to three weeks. When treating parasites, a dip is the method of choice. Place four teaspoons of salt in a clean bucket, then slowly add one gallon of water from the aquarium, swirling it to dissolve the salt. Once the salt is completely dissolved, place the fish in the bucket for five to thirty minutes. Observe the fish closely, and if any signs of distress are observed, return the fish to the original aquarium immediately. A bath is ideal when treating an entire tank for prevention of nitrite poisoning, or for reduction of stress. For stress treatment, measure out one teaspoon of salt for each gallon of water in the tank. Using a small container, dissolve the salt in a small quantity of water taken from the tank. Once it is completely dissolved, slowly add the solution to the to the tank. For treatment and prevention of nitrite poisoning, measure out three teaspoons of salt for each gallon of water in the tank. Using a small container, dissolve the salt in a small quantity of water taken from the tank. Once it is completely dissolved, slowly add the solution to the tank. When using bath treatments, weekly water changes of 25% should begin one week after initial treatment. Do not add additional salt once bath treatments have begun.